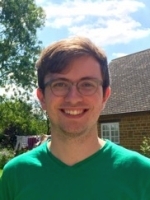 Neil Dewar obtained a BPhil in Philosophy from the University of Oxford in 2013, followed by a DPhil in 2016 (supervised by David Wallace and Oliver Pooley); during the DPhil, he also spent three semesters as a visiting student in Princeton, working with Hans Halvorson and Shamik Dasgupta. He joined the MCMP in 2016. Neil’s research interests concern the philosophy of physics, philosophy of science, metaphysics, and logic. He is currently working on topics concerning representation and ontology in physical theories, and especially on how ideas from the philosophy of logic and language can be used to understand issues concerning symmetries and equivalence in physics. Other interests include the foundations of spacetime theories, issues in the metaphysics of science, and the history of physics, mathematics and logic in the 19th and early 20th centuries. Neil is the coordinator of the DFG Scientific Network “Category Theory in Philosophy of Science”. “Sophistication about symmetries”. Forthcoming in The British Journal for the Philosophy of Science. “Symmetries and the philosophy of language”. Studies in History and Philosophy of Modern Physics, 52, 317-327.